National Wing Day is July 29! The most epic day of the year is right around the corner. 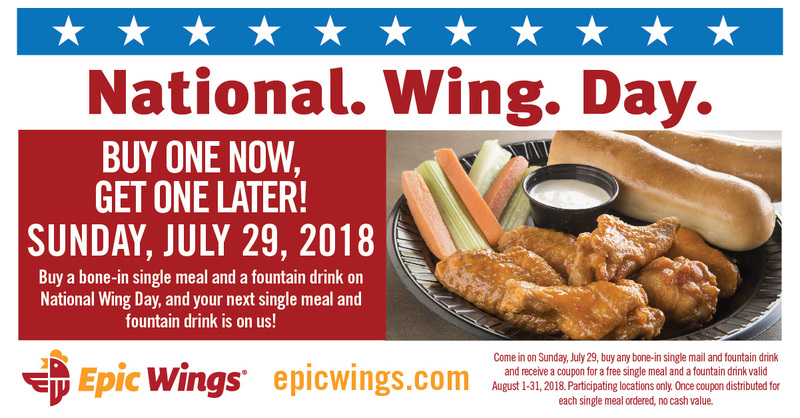 Celebrate National Wing Day on July 29, 2018 at Epic Wings. Eat now, and enjoy later when you order your favorite single meal and fountain drink you will receive a free single meal for your next visit in August.